The Brazil international arrived at Old Trafford during the 2018 summer transfer window after United beat Manchester City to his services from Shakhtar Donetsk. 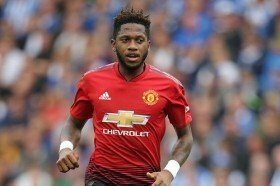 However, the move has not paved the way as planned with just 10 league appearances to his name while he has earned just 64 minutes of Premier League action since Solskjaer replaced Jose Mourinho at the helm. According to Metro, Solskjaer has now held discussions with the player personally and he has assured him of the chance to impress for the remainder of the campaign. Aside from Fred, Andreas Pereira has also been assured of playing time during the backend of the season after Ole denied him the chance to move on loan during the winter transfer window. United are currently on a nine-match unbeaten run in the Premier League and this has included eight wins which has propelled them to fifth and just two points behind the Champions League places.